Helping You Play Better Tennis, More Often! In the Outdoor Season (from May - October), find us at The Todd Morsilli Clay Court Tennis Center in Roger Williams Park, Providence RI. We are between the entrance of the Zoo and the Baseball Fields. The Main Entrance to the Park is 1000 Elmwood Ave, Providence. Come enjoy 10 Har-Tru Clay Tennis Courts. most weekends 8:30 am, 10:30 & 12:30. Learn or Improve Play in adult clinics, junior clinics, cardio tennis classes, or private lessons. Season Passes with amazing benefits! Convenient Online Booking, and more. ONLINE RESERVATIONS Enjoy convenient online booking and reservations through MindBodyOnline. Players may reserve courts, sign up for classes, flex matches, tournaments all from the convenience of their smartphone, tablet or pc. Click here to download the APP for MINDBODY, or from your PC, go to the RESERVATIONS. 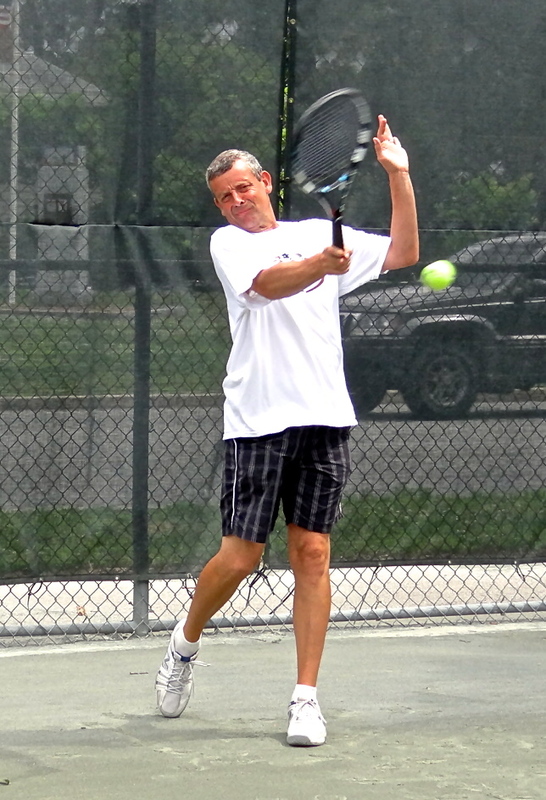 Check out what our Patrons have to say about playing with SPOT Tennis at the Park! Rent our PlayMate Ball Machine to try to groove your strokes like staff Teaching Pro, Michael Sack! Check out this fun video of pure community tennis pleasure at the Park! Larry’s Private Lesson Rates – $75/hour or buy a 5 pack for $325. See our staff page for more info on additional staff members and prices for private lessons at the Park.